Directory Premium content for subscribers only. Login required. Advanced Search Premium content for subscribers only. Login required. Scrapbook Premium content for subscribers only. Login required. My Account Premium content for subscribers only. Login required. Located throughout the world, the Trendease Team continues to deliver our subscribers around the globe must-know market information and inspiration straight to their computer screens. In reaction to the less-than-stable, uncertain, frightful times the world has been experiencing the design community is taking a stand. Recurring themes at the winter design events included whimsy, humor, irony, insolence, fantasy, colliding styles, blurred lines, play on traditions, distorted perceptions, the marriage of the conceptual and functional, hyper-personalization, vibrant colors, discreet opulence, computer assisted design, experimentation, craftsmanship, and varying combinations of the aforementioned. 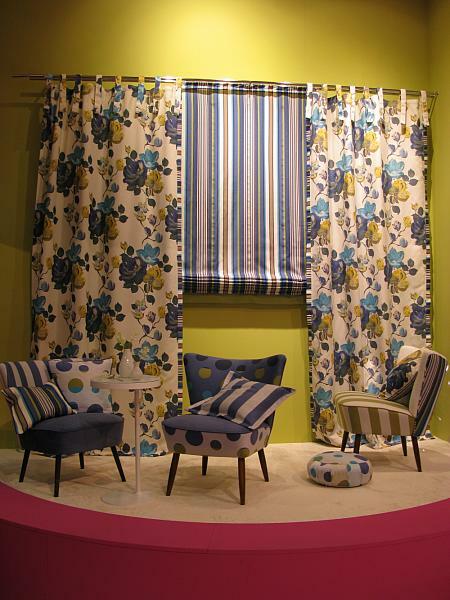 Textiles, furniture, lighting, ceramics, wallcoverings, fashion, and more are covered here. We attend over 100 design events a year on your behalf to bring you trend insights and design movements to help you maintain cutting-edge knowledge of the lifestyle and design markets. Currently we keep readers within 168 countries/territories in the know! Are you reading Trendease.com? Show us what you’ve got! For editorial consideration please email editorial@trendease.com with your latest original designs. Upcoming Trendease Market Edge PowWows and Trendease.TV scheduling can be found on the homepage. Download our informative tri-fold brochure as a PDF file here. Frankfurt — While we like to look at the glass as being half full, it feels as if after attending numerous January design events that the industry has finally taken the last sip. The overall uncertainty teeming around conversations was heavy. Enough with this mass melancholy! Thankfully not everyone has given up hope and many are exclaiming, “Pour me another, Joe!” Ah, yes, the glass can be refilled. And that fact alone should give us the confidence to move forward to a brighter day. Read more on Jennifer’s thoughts here. Paris — According to François Bernard this is “an amused and amusing neologism that predisposes current decoration to play with the traditional codes and erase the distinction between “fine art” and the art of decoration. A portmanteau word formed from art and marketing whose admitted goal is to loosen up our lifestyles and everything that entails!” See approximately 50 images representing the movement here. Paris — What will you see in these rooms? Rugi and Quintanilla work with RGB designs to create surfaces that mutate and interact with different chromatic stimulus. Ron Gilad suggests that his mirrored images contain a hypocrisy which reflects only our exterior selves. Vincent Dubourg evokes the power of nature. Bergmans’ light-giving bulbs are linked to bronze objects from Studio Job. And Kiss’ work leads to considerations and questions about the past and future codes of the home. Hannover — At Domotex, designer Ulf Moritz has identified three key trends for the 2012/2013 season, "Primal Nature", "Urban Classic" and "Fashionable Rainbow", which he explored at the FLOORFORUM trend presentation in Hannover. Here, readers can discover the must-have colors, patterns and materials for the coming season. Hannover — The winners of the Carpet Design Award 2012 have been chosen. A total of 211 carpets from 26 countries were submitted to the design competition, creating a "snapshot" of the best in the contemporary carpet design. The products were judged on the basis of criteria such as design, material quality, unique product features and innovation. See the winners and runners up here. Paris — The biggest news we came across during our visit to the winter fashion events is that Who’s Next and Prêt à Porter have merged to form Who’s Next Prêt à Porter, which is now broken into six segments: Fame, Private, Mr. Brown, Premiere Classe, Mess Around, and Le Cube. At the entrance of Hall 7.1 forecasting agency Nelly Rodi has staged three fashion directions for 2012/13 containing ready-to-wear items from throughout the fair. Frankfurt — Students from the design school ‘Frankfurter Schule für Bekleidung und Mode’ worked in collaboration with Heimtextil to bring this year’s visitors experimental fashion visions at the showcase titled “Tales of the Unexpected”. This exhibit encompasses color, fashion, and contemporary trends for 2013/13 envisioned by the new talent. 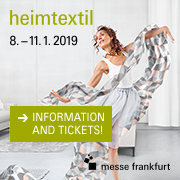 Frankfurt — A trend that the Trendease Team has noticed is that fewer companies are boasting their ecochic-ness and just doing it, and events like Heimtextil make it easier for people to find such admirable organizations. Bright, sustainable textiles were selected from exhibitors and displayed in a fresh textile garden, setting the stage for a colorful presentation of meaningful and responsible home textile products, accompanied with a free directory. 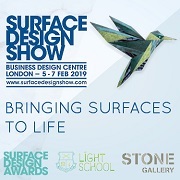 Birmingham — Earlier this week we had the pleasure of visiting the Surface Design Show; it is a small show, but there are certainly gems to be discovered there. If you look in the right places gems can be uncovered almost anywhere. One of our pleasant discoveries last month was Designersblock’s three bed and breakfast rooms found within the Design Village at Interiors UK in Birmingham by Donna Wilson, House of Hackney, Morag Myerscough and Luke Morgan, as seen here. Cologne — We have been city and country hopping again this week: Frankfurt for Ambiente, Paris for PV Pluriel (Expofil, Première Vision, Le Cuir à Paris, Indigo, ModAmont, and Zoom by Fatex), and finally London to kick off fashion week and get the scoop on Fairtrade Fortnight. Also see how for imm cologne this year, rather than have the trend area, Koelnmesse invited Nipa Doshi and Jonathan Levien from London to design “Das Haus – Interiors on Stage”. Birmingham — Designersblock is no stranger to current market trends and that is why the Design Village they created at Interiors UK was right on the money. Market stalls housed not-to-be-missed talent and The Local, a pub located in the heart of the village in hall 2, was the ideal spot for networking, or a moment to kick back and relax from the hustle and bustle of the show. Subscribers can see some pretty impressive creations by visiting the village here. In order to experience the website fully, you will need to install the Adobe Flash Player. Sign up for the free weekly Trendease newsletter!